Recordings of fastwalker UFOs have been on the rise it seems since the availability of drones has become mainstream, ‘fastwalkers are being inadvertently recorded on the drone cameras. Just recently a UFO fastwalker was recorded over Utah near Area 51, and now this one in Spain. 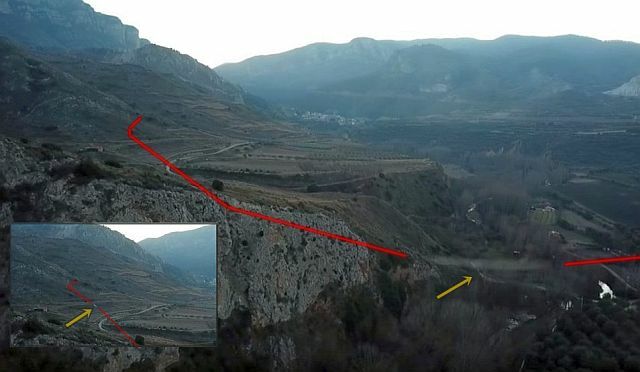 The footage was captured by a drone owner in Rioja, Spain, we see the UFO coming from a mountain then it makes a turn flying towards the drone upon which it makes again a turn before going upwards. As with other fastwalkers, the speed is extreme. This fastwalker appears to be moving at 300 meters per second which begs the question, are these UFOs equipped with alien technology or might they be secret military crafts from here on Earth.